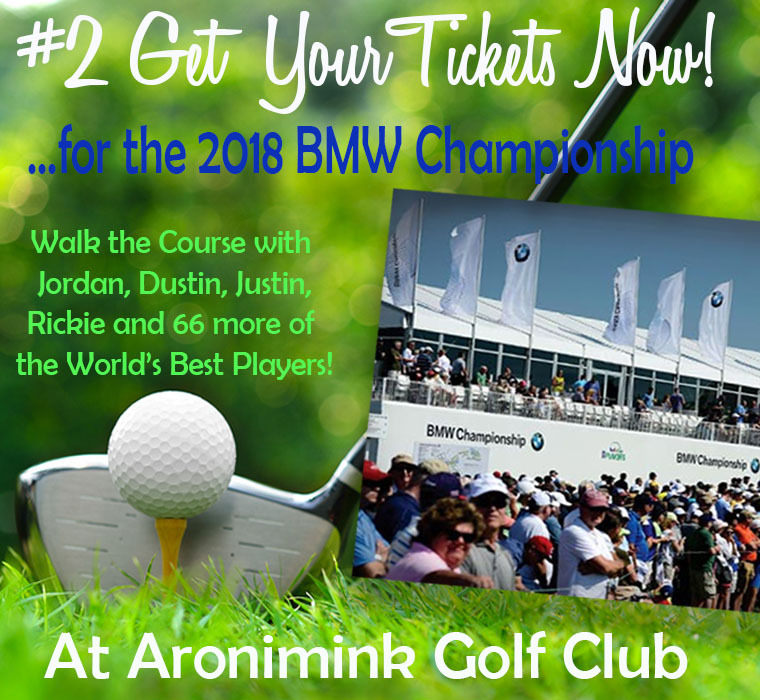 The 2018 BMW Championship is coming to Delco's own Aronimink Golf Club in Newtown Square...so don't let another day go by without getting your tickets to watch the 70 best players in the world fight for the last 30 spots in the PGA TOUR'S FedExCup Playoffs! 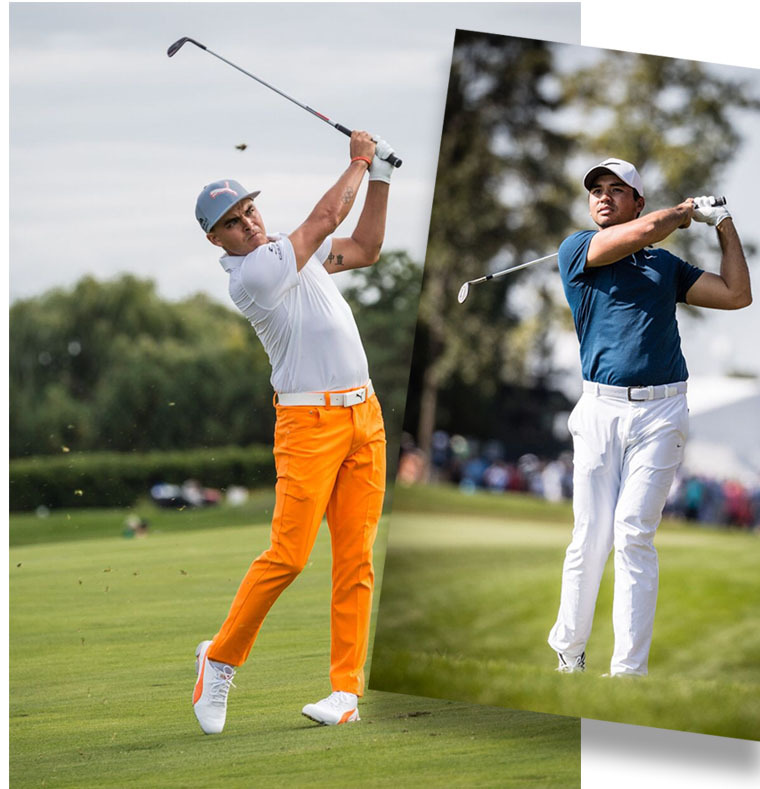 This penultimate event is a literal 'turf war' where every player in the field is fighting for a chance to play in the FedExCup Playoffs the following week. And the BMW Championship's battle within-the-battle, will be among the top ten players - all looking for a top 5 finish because if one of them wins the next and final match -- THEY WIN THE CHAMPIONSHIP AND ONE OF THE BIGGEST PAYCHECKS IN GOLF - $11,000,000+ in purse and prize money! This is high stakes golf in our own backyard. Don't miss a minute of the action! 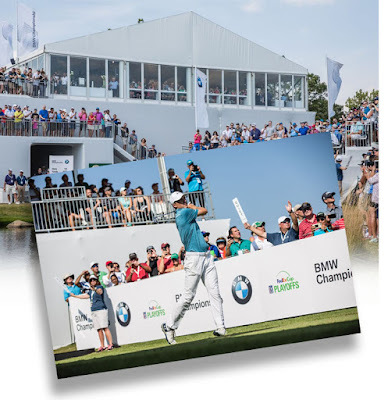 And while you're waiting for the big event ...let next year's BMW Championship inspire you to get out and play NOW while there's a nip in the air, gold in the trees and greens stretching for miles across the county. This course is located in historic Thornbury Township and is the only golf course in the Philadelphia area featuring 12-minute starting times. It is a full service, 18 Hole golf course including multiple manicured practice areas. The Springfield Country Club is a sprawling course with beautiful banquet facilities, Tavola Restaurant, and a Spa. Rates average about $18 to 40 to walk or ride. Their friendly staff will help you book tee-times, and to fit in a little practice, check out their chipping and a putting area. Before becoming a public course, it was a private country club built over 80 years ago. Much of its architecture includes design elements found at some of their exclusive private club neighbors. Today people come from every corner of the region to play. Daily rates range from about $31 (at twilight) to $62 (Carts included). There are never enough opportunities to see true American Legends perform in person. 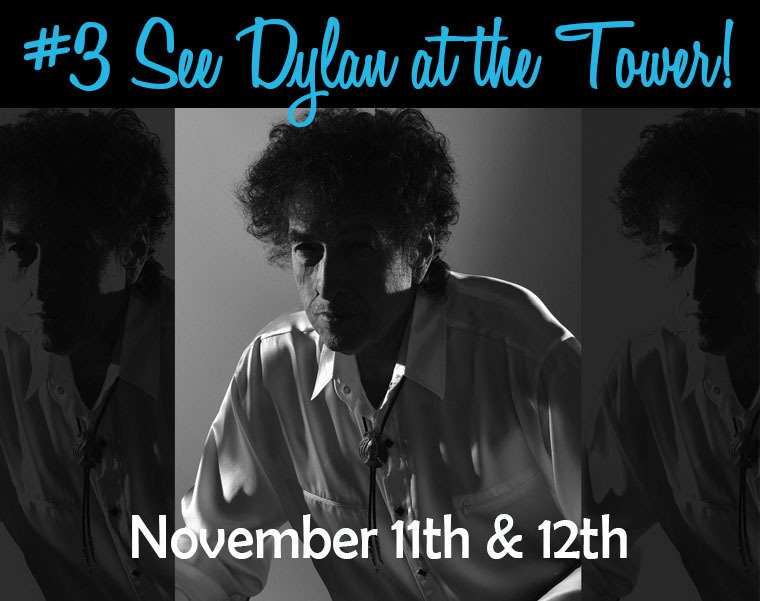 So don't miss a chance to see Bob Dylan play the Tower Theater in Upper Darby on Saturday and Sunday, November 11th &12th. Dylan has sold more than 100 million records, making him one of the best-selling artists of all time. He has eleven Grammy Awards, a Golden Globe Award, and an Academy Award. He's in the Rock and Roll Hall of Fame, Nashville Songwriters Hall of Fame, and Songwriters Hall of Fame. And in 2016 he was awarded the Nobel Prize in Literature. 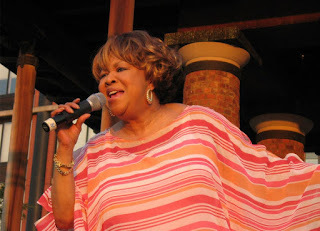 Mavis Staples performs with Bob Dylan at the Tower. See him perform in an intimate setting where the ghosts of so many other legendary singers may still roam the Tower halls...and where the acoustics are legendary, in their own right. Dylan's 2-night appearance at the Tower includes great music by Mavis Staples. Showtime is 7:30pm each night. Plus see these exciting acts! See Aaron Lewis and Blackberry Smoke on Thursday November 16th at 8pm. Blackberry Smoke is an American Southern rock/country rock band from Atlanta, Georgia. 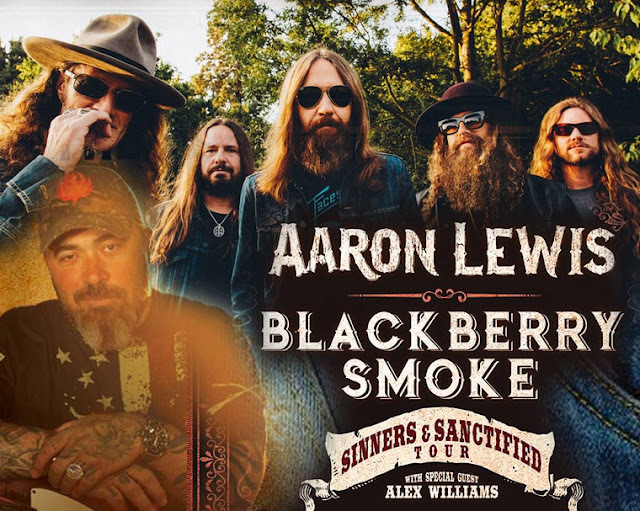 Proclaimed as “a band that can reclaim Southern Rock for the South,” by the Washington Post, Blackberry Smoke's steady evolution from rough-edged club act to arena-ready rock 'n' roll juggernaut has garnered fans such as Dierks Bentley, Jamey Johnson, Grace Potter and the Zac Brown Band. "Courage is almost a contradiction in terms. It means a strong desire to live taking the form of readiness to die" – these were the words of an English writer, G.K. Chesterton. But they are personified by every American Veteran who has stepped forward to protect and serve our nation. These heroes made a commitment to defend their country, their families and every fellow citizen with their lives, if necessary. Parade-goers from last year wave and cheer! 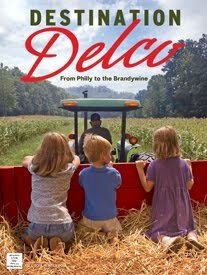 courtesy of the Delco News Network. 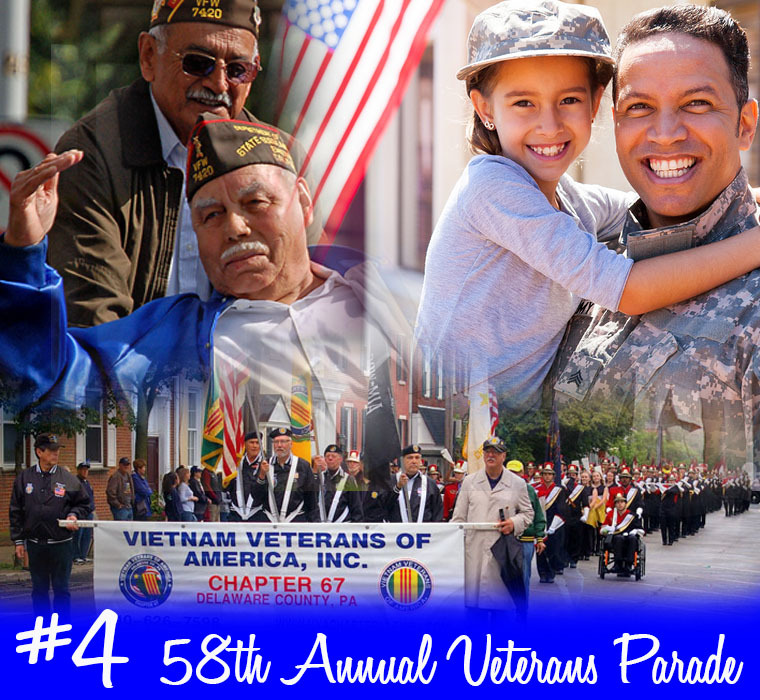 Media's 58th Annual Veterans Parade is Friday, Nov. 10th at 11am. It is an opportunity for us to step forward and show our appreciation for every soldier that has served this country. Saying thank you is good. Showing up to say it, is everything. In case of rain: Ceremonies will be moved to the Media Theatre. 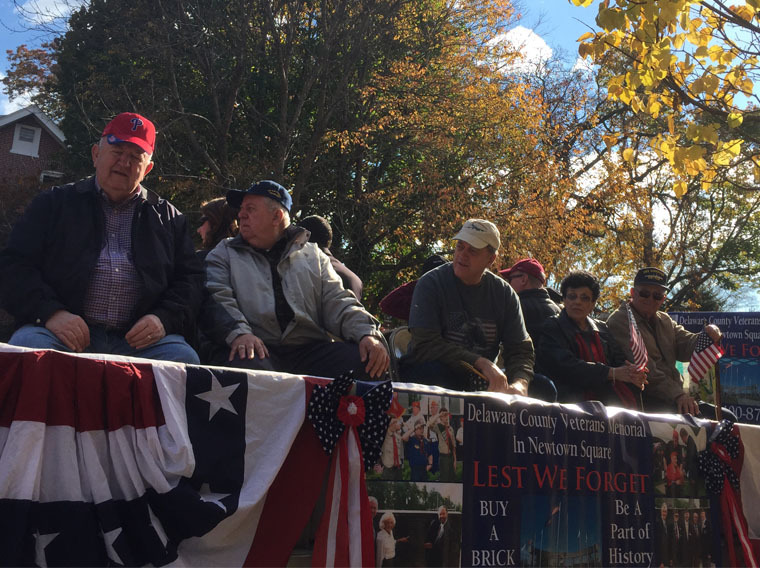 In November 1919, President Wilson proclaimed November 11 as the first commemoration of Armistice Day, set aside to honor veterans of World War I. But after World War II a World War II veteran from Birmingham named Raymond Weeks had an idea to expand Armistice Day to celebrate all veterans. In 1947 he led a delegation to Washington, D.C. to urge then-Army Chief of Staff General Dwight Eisenhower to create a national holiday that honored all veterans. In 1954, President Eisenhower signed legislation establishing November 11th as Veterans Day. President Reagan honored Weeks as the driving force for the national holiday with the Presidential Citizenship Medal in 1982 at the White House. 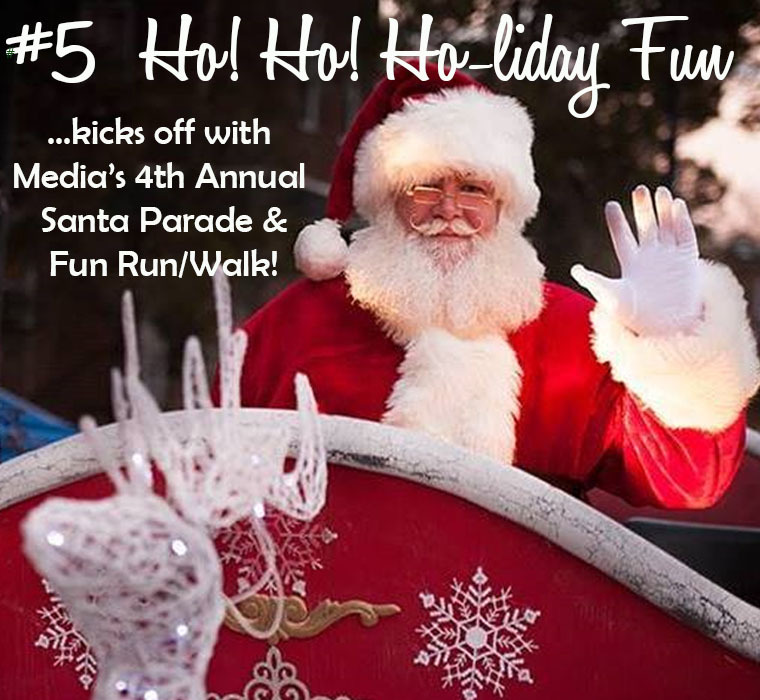 The Holiday Season officially starts when Santa comes to town... and according to his flight plan, St. Nick's sleigh touches down in Media on Sunday, November 26th! We will have barely digested our Thanksgiving dinner, when what to our wondering eyes should appear? But Santa, his sleigh and some glittering reindeer! 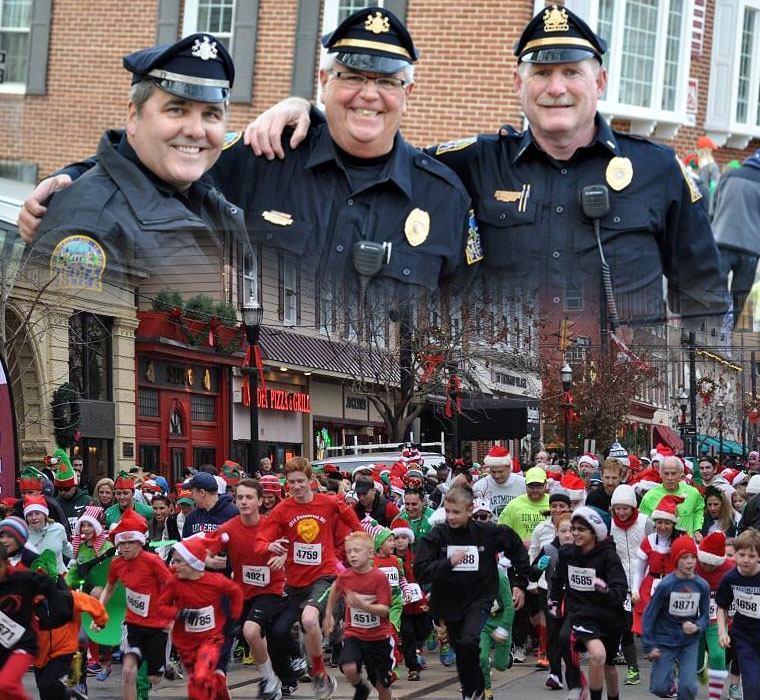 So after a fun Thanksgiving dinner, add an extra gift to your Black Friday Shopping list... Purchase a toy (or canned food items) for a needy family, because that's the only price of admission for Sunday's huge Holiday Block Party & Parade! 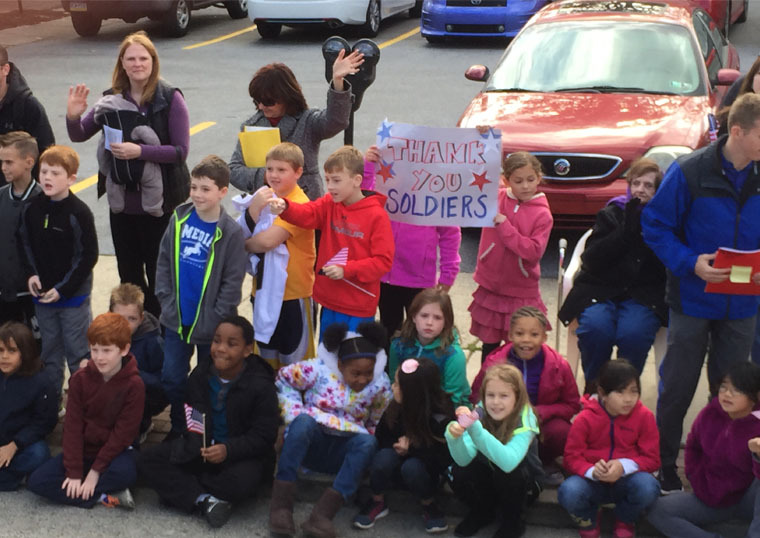 Drop off the toys and canned goods at Veteran's Square. The toys are for the Toys For Tots drive - and the canned goods will go to the local Food Bank. 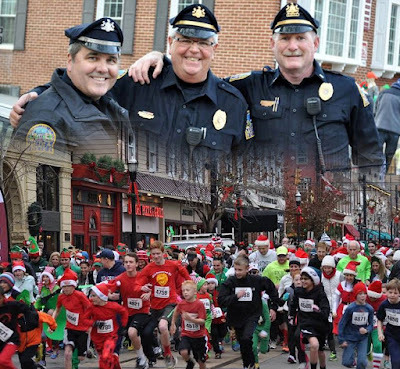 It kicks off with a huge Parade & Fun Run/Walk that draws thousands each year. Shops and stores open up extra hours, restaurants offer food specials all day, and local businesses sponsor activities and funds for building floats, and a dedicated committee of volunteers do the decorating, registration, and marketing. Dress up in your favorite holiday gear - as Santa, an elf, the Grinch, a reindeer or you can even light yourself up as a Christmas Tree! > The Block Party is 2:30-5pm on State Street at Veteran's Square. There will be treats, giveaways, and live music by Jimmy Shoe & the Shine. No fee - just bring a toy or nonperishable food item. > The Santa Parade starts at 5pm sharp! 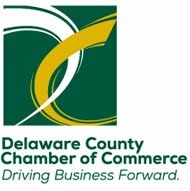 To be a sponsor, a volunteer or to find out more about the event, call (610) 566-6162. 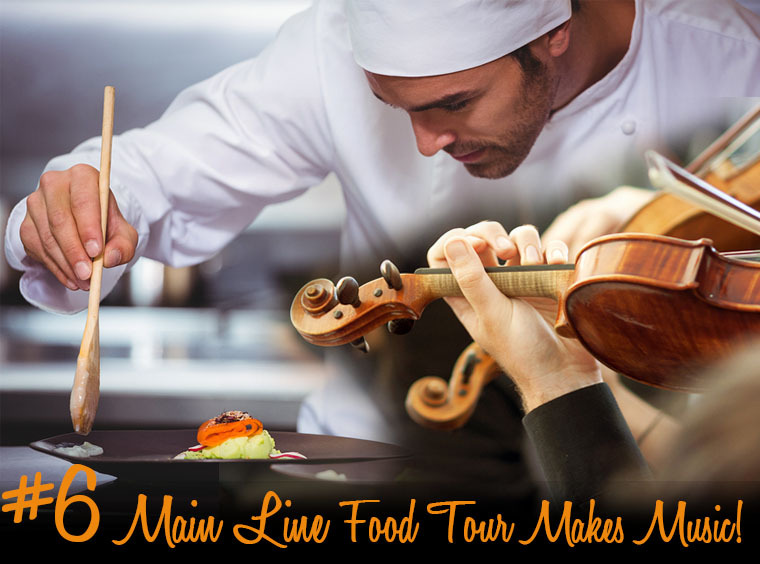 Clear your calendar on Thursday, November 2nd and join the Main Line Committee for the Orchestra for a self-guided tour of 6 outstanding Main Line 'home kitchens' from Haverford to Wayne. Between the hours of 10am to 3pm you'll explore 6 very different innovative and beautiful home kitchens, showcasing the visions of some of the area's finest architects, kitchen designers and builders. Ultimate Bake Shoppe of Wayne, The Union League Guard House, The Goat's Beard and Terrain. They will prepare some of their favorite culinary treats for you to sample. Stunning table designs and floral displays, created by local businesses will adorn each kitchen and complement the homeowner's decor. This event is a tasty way to support the Philadelphia Orchestra! 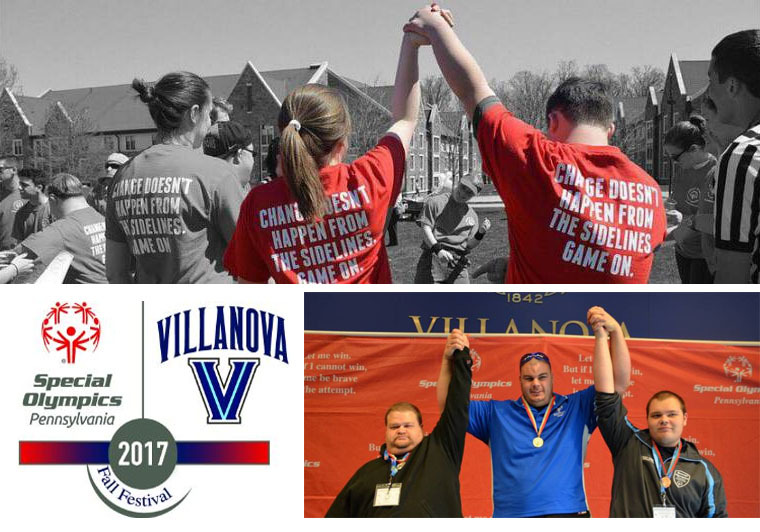 Villanova's Special Olympics Fall Festival is the largest annual student run Special Olympic event in the world. And this is your invitation to show your support by cheering on the athletes at competition venues on or near the campus. 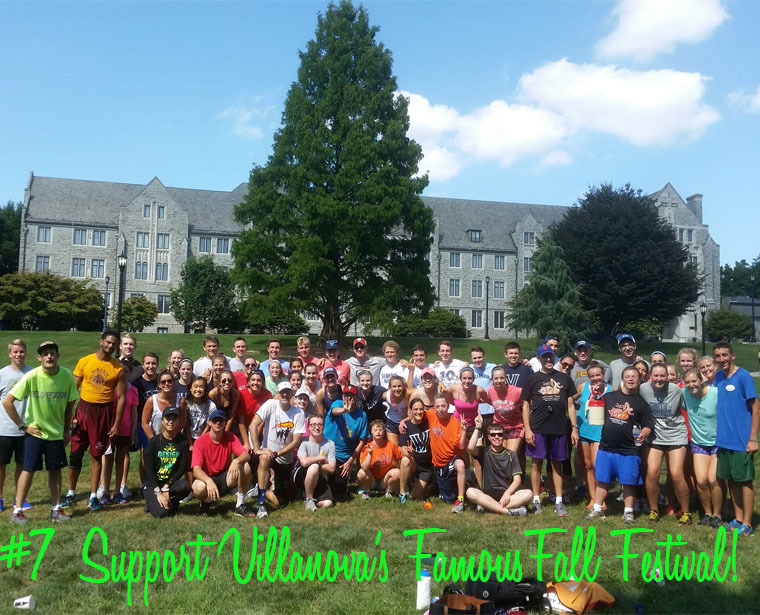 November 10th through the 12th, Villanova will hold its 29th Annual Fall Festival -- welcoming over 1,000 athletes, 400 coaches, and 2,000 volunteers from the student body, the surrounding community, and local corporations. The athletes who participate in the Fall Festival compete in a total of six Olympic-type sports including bocce, long distance running, power-lifting, roller skating, soccer and volleyball. Spectators are encouraged to visit any of the competition venues on or near campus and cheer on athletes at Special Olympics Pennsylvania’s second largest event of the year. Come to the Pavilion Friday evening for the inspiring Opening Ceremonies, and be sure to visit the Quad on Saturday and Sunday, as it is transformed into Olympic Town - a street festival of entertainment for the athletes and families. 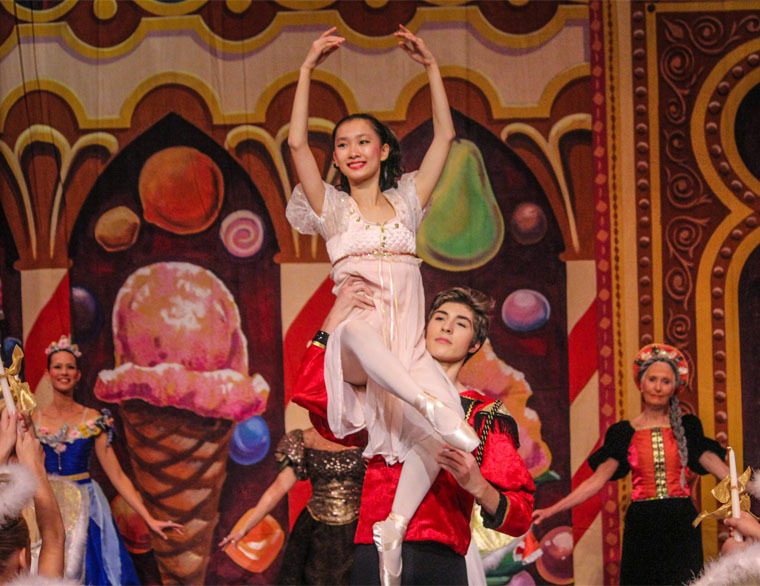 As the curtain opens on the Nutcracker Ballet, music and merriment fill the house as the Stahlbaum family welcomes guests to their annual Christmas party. Marie and her brother Fritz dance and play together as many of their friends and family arrive. Suddenly, Marie’s mysterious uncle, Herr Drosselmeyer, appears with gifts. To everyone’s amazement, he introduces two life-size mechanical dolls that he has made that can actually dance. Like magic, he presents a toy Nutcracker and Marie is overjoyed. Her brother Fritz, however, becomes jealous and breaks the Nutcracker. But Marie's uncle magically repairs the doll and she carefully places it underneath the Christmas tree. After the party, Marie can't sleep. She sneaks into the living room and falls asleep with the Nutcracker in her arms....and the adventure begins! 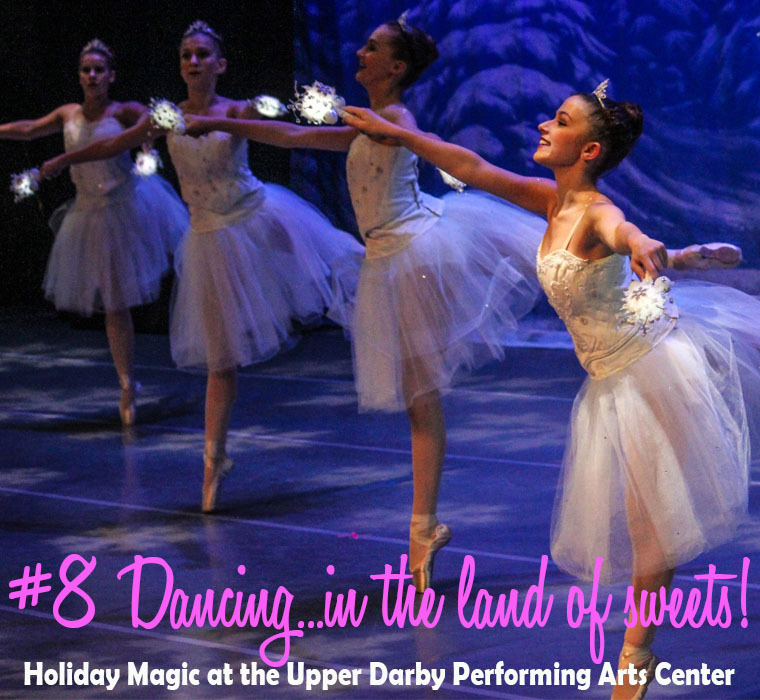 Get tickets now to see the Pennsylvania Academy of Ballet bring a holiday classic to life at the Upper Darby Performing Arts Center. 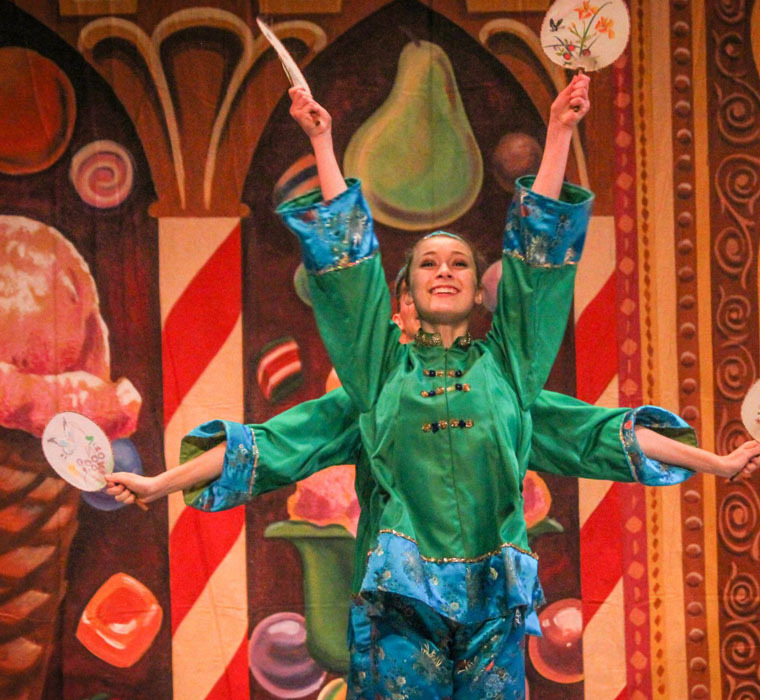 Escape the world for 90 minutes...as you take a journey with them into the Land of the Sweets! Audience members can have pictures taken with the cast after the Saturday Performances. The shows are appropriate for children four years old and up - and before and after the show the lobby is a winter wonderland filled with nutcracker gifts ideal for holiday shopping. 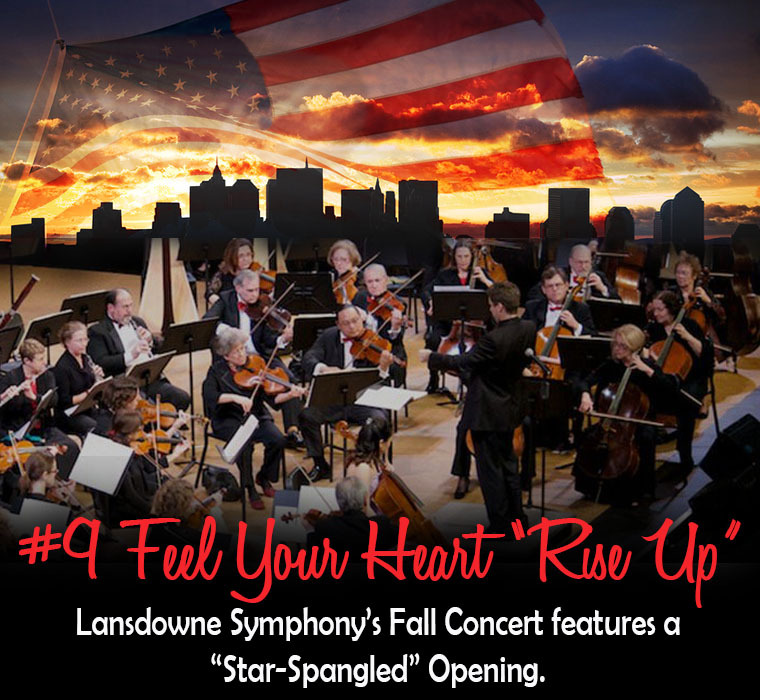 If you could use a pint of renewed patriotism, let the Lansdowne Symphony's opening rendition of the Star Spangled Banner reignite the fire and remind us that we are all one, all equal, and all in. Founded in 1946 at the First Presbyterian Church in Lansdowne, the Lansdowne Symphony is one of the oldest community orchestras in the Greater Philadelphia area. 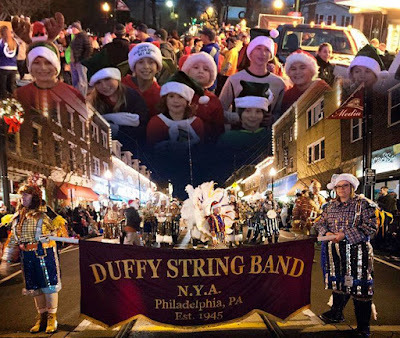 For the 15th year in a row, Delaware County's love of Jazz will heat up the streets of Media where the sound of music literally pours out of 2 dozen or so restaurants and sets fire to the sidewalks where passersby catch bits & pieces of extraordinary music. On Saturday, November 18th top regional performers become Pied Pipers, luring hundreds of people to restaurants and bars all over Media...creating 6-8 blocks of everything tasty, hip and energizing. With FREE METER PARKING, how can you resist?! 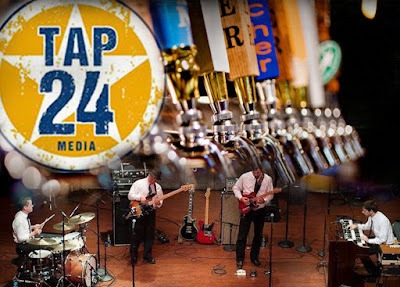 TAP 24, a new gastropub located at 36 W. State St. (formerly Picasso). 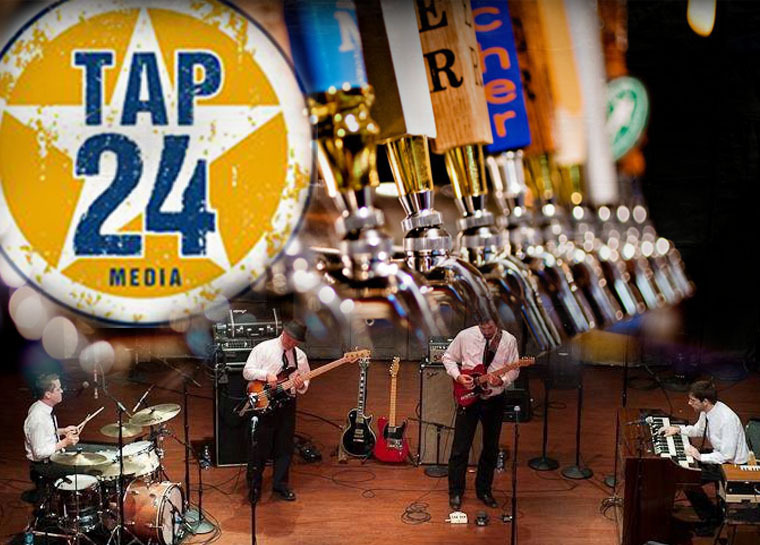 As the name suggests, it features 24 rotating craft beers, creative cocktails & pub fare. 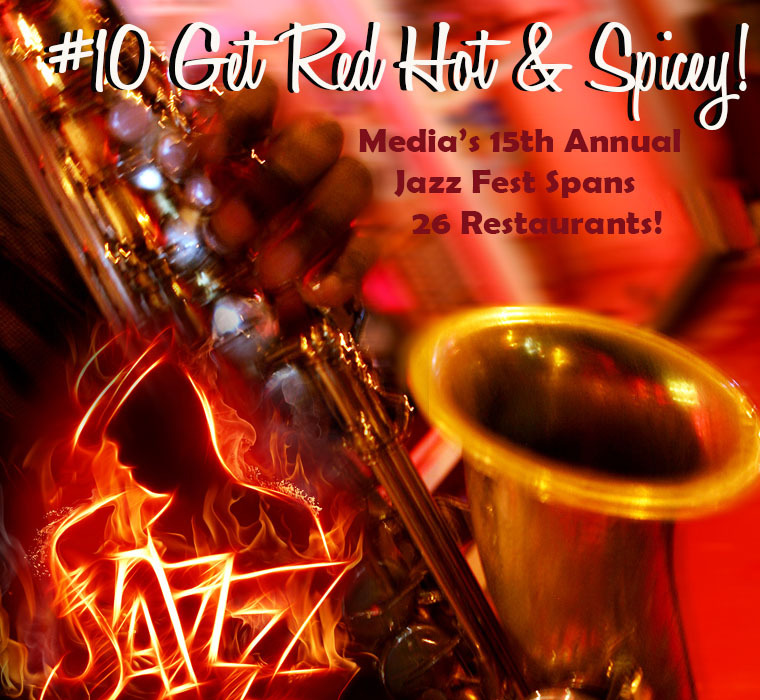 WRTI 90.1 FM, Philly’s premier Jazz radio station, is a co-sponsor. 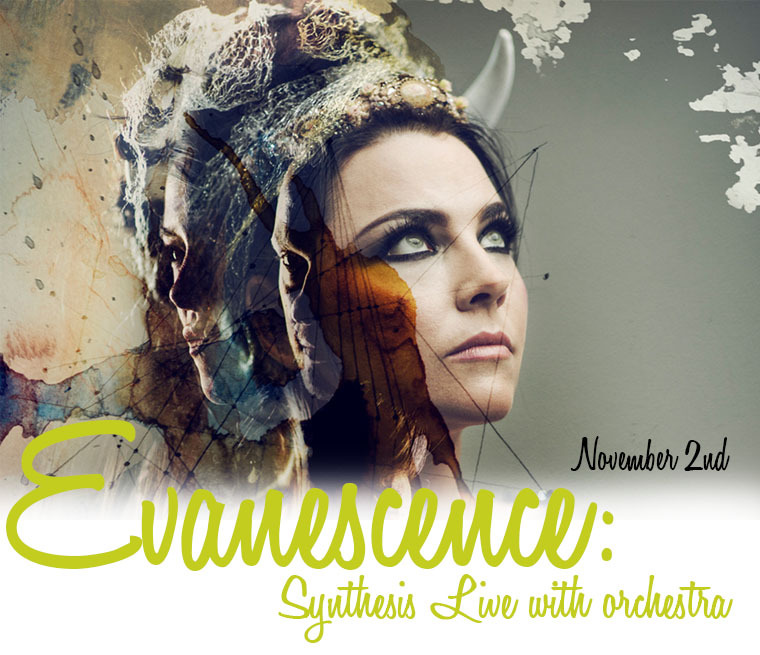 HOT TIP: Purchase Tickets and make Reservations NOW at your favorite Media restaurant for dinner before the show! 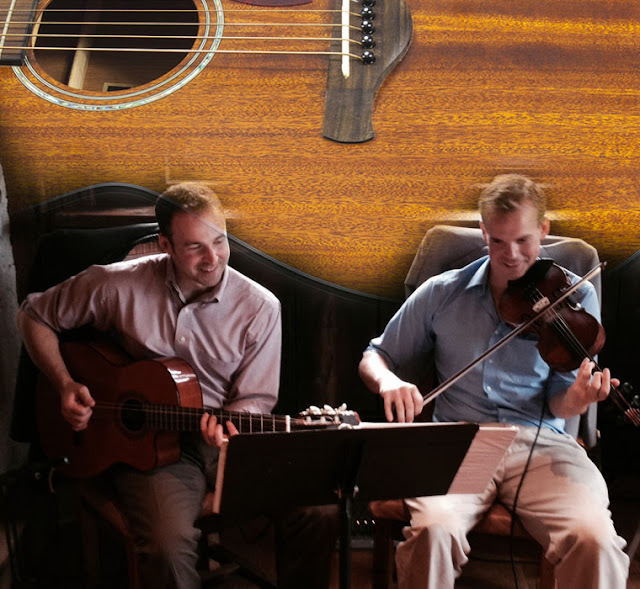 This outstanding jazz duo have become familiar faces at popular venues like the Grace Winery, Terrain at Styer's, the Merion Cricket Club, Brandywine River Museum and more. Jake L'Armand (violin) is a graduate of the Berklee College of Music in Boston and is a respected session musician and music teacher. Brian Kors (vocals & guitar) has been playing music in the northeast for over a decade, and lives in Media, where he is closely involved with the local arts and music scene. They'll be appearing at the 320 Market Cafe.